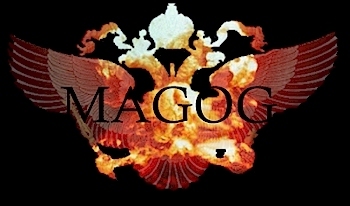 and Hal Lindsey agree that Magog is a name for the people who lived in the area north of the Caucasus and descended from the ancient Scythians.1 This corresponds to the modern state of Russia. However there are also other interpretations that place this area in what is now Turkey. It is important to note that later in the text verse 15 refers to “the north parts.” If one looks at a map of Israel and goes north, one finds the modern nation of Turkey. North of that is the nation of Russia. What is of interest is that Russia is presently sending arms to Iran.2 Iran, or Persia (as it was called until modern times), is the second nation in the list of nations that goes up against a land of “unwalled villages,” (Israel). Persia, Ethiopia, and Libya with them; all of them with shield and helmet: Gomer, and all his bands; the house of Togarmah of the north quarters, and all his bands: [and] many people with thee.